Your air fryer can make the most delicious roasted ranch potatoes in about 10 minutes. These little nuggets of gold are the perfect side dish that everyone will love! I simply cannot say enough good things about my air fryer. Between that and my Instant Pot, it’s almost become the rare occasion that I use my regular oven anymore! And my air fryer has become the perfect tool with which to make these awesome ranch potatoes. 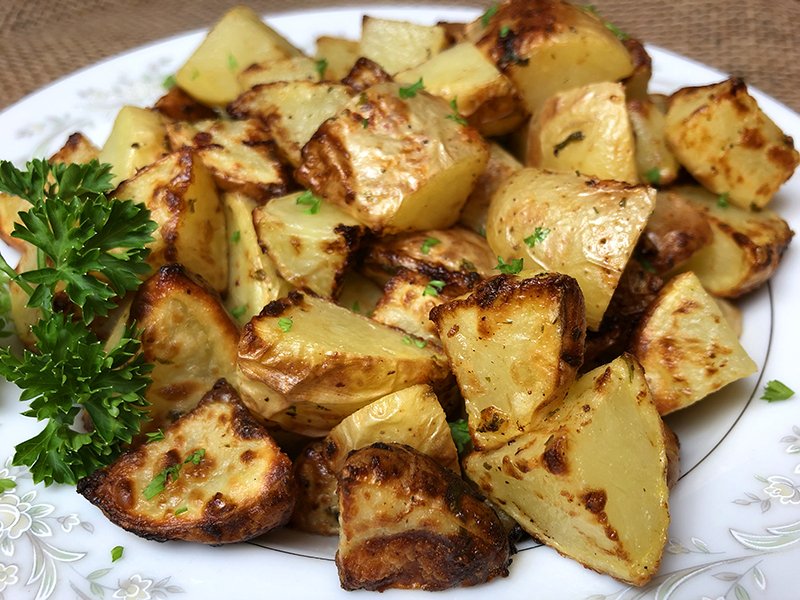 Roasted Potatoes in 10 minutes! Using the air fryer has really cut down on the time it make for a dish like roasted potatoes. A dish like this might take 45 minutes in the oven. And I simply don’t always have the time for that. 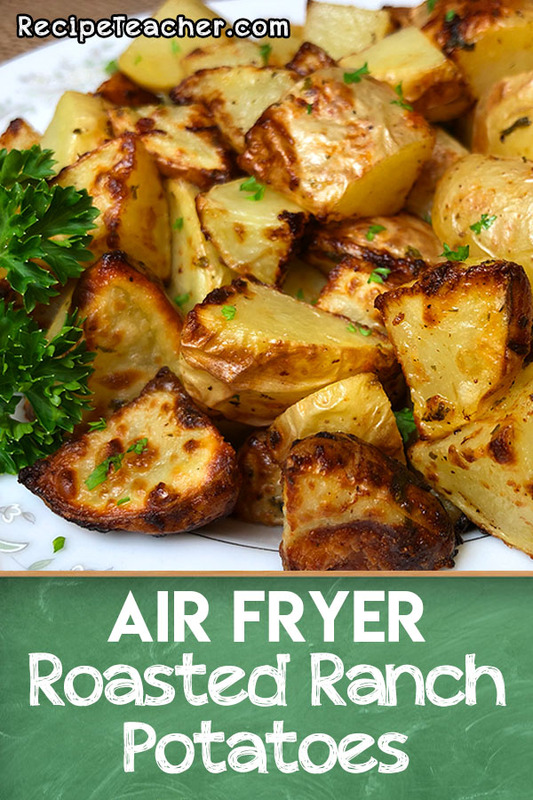 Using the air fryer for roasted potatoes is also super easy. 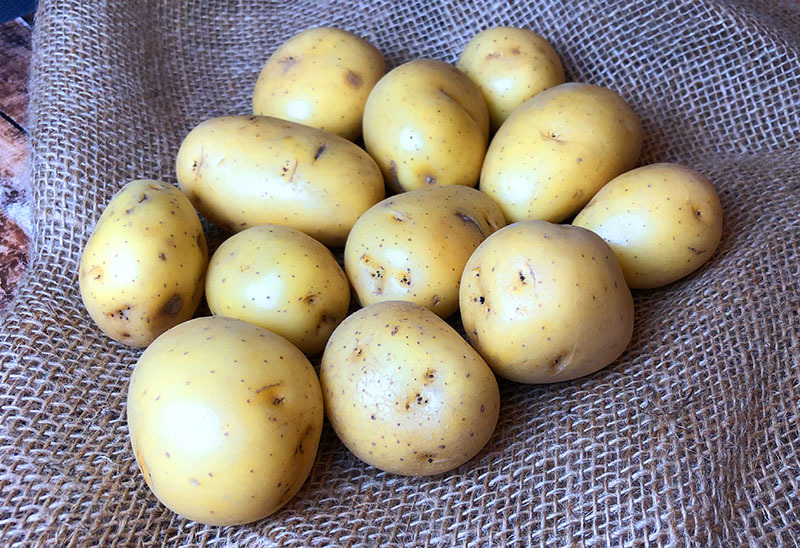 Yukon gold potatoes have a smooth golden skin and a delicious creamy texture with a rich, smooth flavor. I particularly like the Green Giant Klondike Goldust brand, but any brand will work. You’ll want the small, number 1 size potatoes, which are about the size of a 1 or 2 golf balls, maybe a little bigger. I usually get the 3lb bags and make 1/2 a bag at a time. Feel free to experiment with different types of potatoes, but you may need to adjust the cooking times. The Yukon Gold potatoes work perfectly for me every time. You do not need to peel these potatoes. 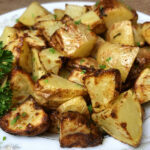 The skin of the Yukon Gold potatoes is part of their delicious flavor. You will want to cut them into chunks of about 1 inch in size. 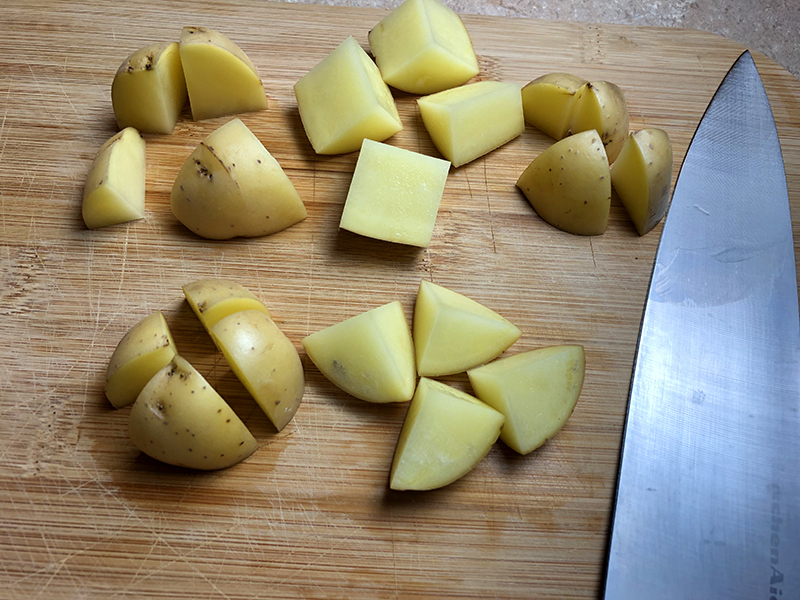 For the smaller potatoes, I cut them in half, then cut the halves into quarters. For the larger potatoes, I cut them into 3rds, then quarter each of those pieces. Then we give the potato chunks a good rinse with cold water. This will wash away some of the starch and make them better for air frying. After the rinse, we dump the potato pieces into a bowl and dry them as best we can with a couple of paper towels. Then we add a little olive oil. We don’t need a lot, just enough to coat the pieces. You can use a tablespoon of olive oil. Or, i’m really liking these new oils that come in spray bottles. Not cooking spray, we want to avoid cooking spray. There’s chemicals that can be harmful to the air fryer. 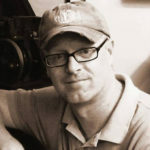 I’ve been using the Bertolli 100% Extra Light Olive Oil Spray. It says right on the can that it’s propellant free and safe for non-stick cookware. Once the potatoes are coated with the oil they get tossed with some dry ranch seasoning mix. This is a great seasoning mix that I use quite a lot. I get the large containers of Hidden Valley Ranch Seasoning & Salad Dressing Mix. Our recipe calls for 1.5lbs of potatoes so we’ll use 1.5 tablespoons of the seasoning mix. I also like to add some fresh parsley flakes as well. For this recipe I do not add additional salt. The ranch seasoning contains plenty of salt. If you want any additional, you can always add it after. Preheat your air fryer at 380 degrees. When it’s ready, set it to 380 degrees for 10 minutes. After 5 minutes, carefully remove the basket (according to the manual instructions) and give the potatoes a good shake to move them around and back in they go. Once the time is up, they’re ready to serve. If you want them roasted more, simply add another couple of minutes. Most of the time, your potatoes will be perfect in 10 minutes. Cut potatoes into 1 inch chunks. For small potatoes you can cut in half and then into quarters. 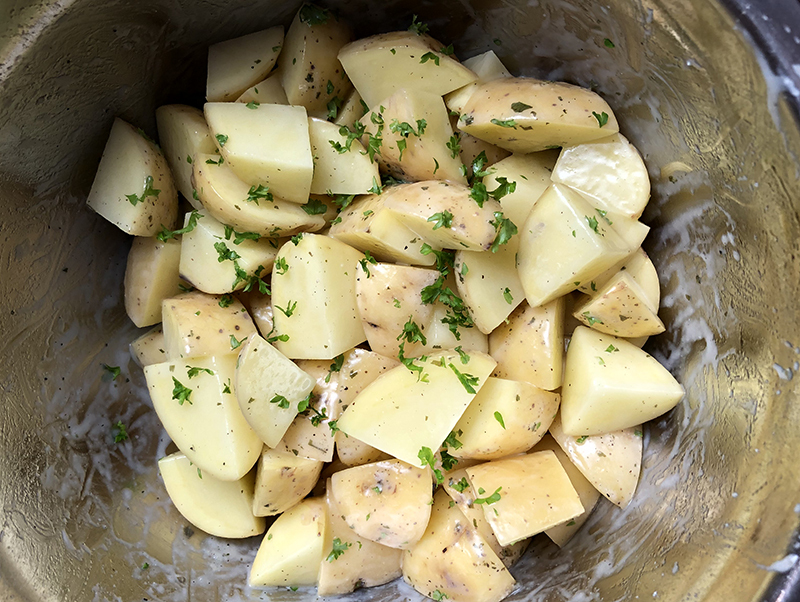 Rinse potato chunks under cold water and place in a bowl. Pat dry with paper towels. 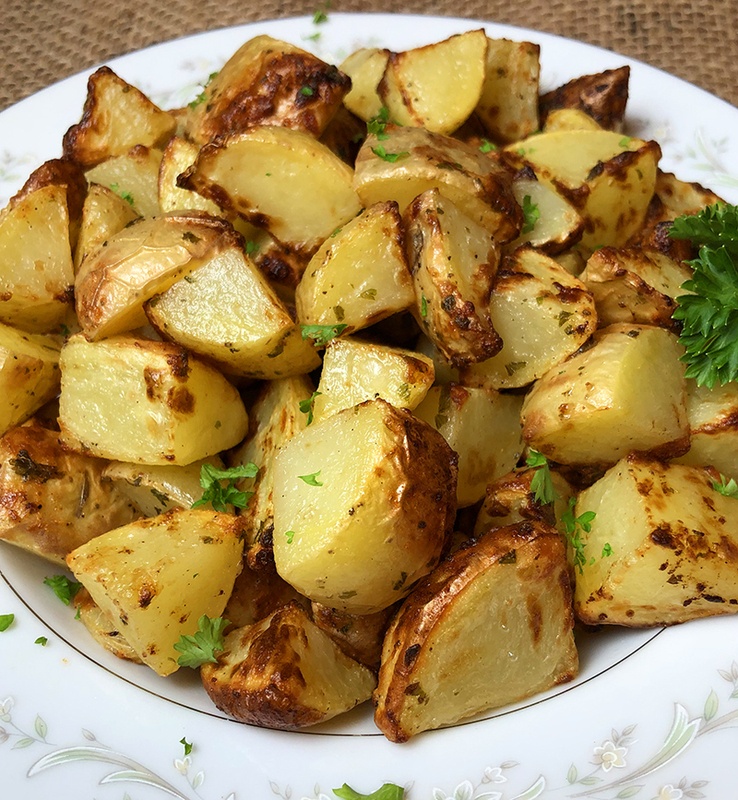 Toss potatoes with olive oil and ranch seasoning mix. Preheat air fryer for 5 minutes at 380 degrees. Add potatoes when preheating is done and cook at 380 degrees for 10 minutes, tossing potatoes after 5 minutes.